I don’t have a lot to say about this past week, we’ve been contacting a lot. I finally got a picture with the Alemans. 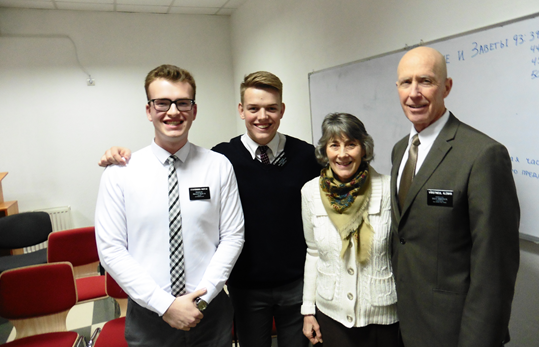 They are wonderful, and are going to be a great support to the Balti Branch here in Moldova. They will help teach English, and our Branch President is praying this week about what they can do to help out the branch in Balti. The Alemans are both from California, but retired in Hurricane Utah. They’ve been out for 6 months, they served in Bacău Romania, and now they will be here in Balti. He speaks some Russian, and I am impressed, he even knows words that I don’t know (i.e. Vacuum in Russian). ← Elder I. Batman: He Showed Up!